SMS, or text messaging, is the simplest way to reach your users outside of normal customer-facing web or mobile applications. Compared to other communication channels, such as email and push notifications, text messaging results in higher engagement. SMS messaging is extremely convenient — users don’t have to authenticate, download your app, or go to your website. They simply receive your message on their device. When it comes to customer acquisition and retention, it doesn’t get any easier than this. 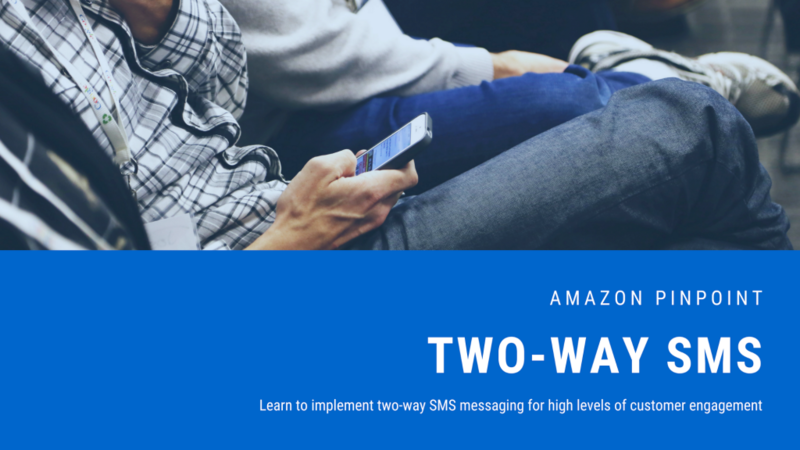 In this article posted on A Cloud Guru, Dennis Hills explains what two-way SMS is and how you can quickly and easily start sending personalized, timely, and relevant text messages to your customers with Amazon Pinpoint. He then shows how you can implement a practical solution for setting up an SMS long code so you can start sending and receiving text messages. Read the article now, and be sure to let us know in the comments what types of advanced topics for SMS messaging you’d like to see us or Dennis write about in the future.